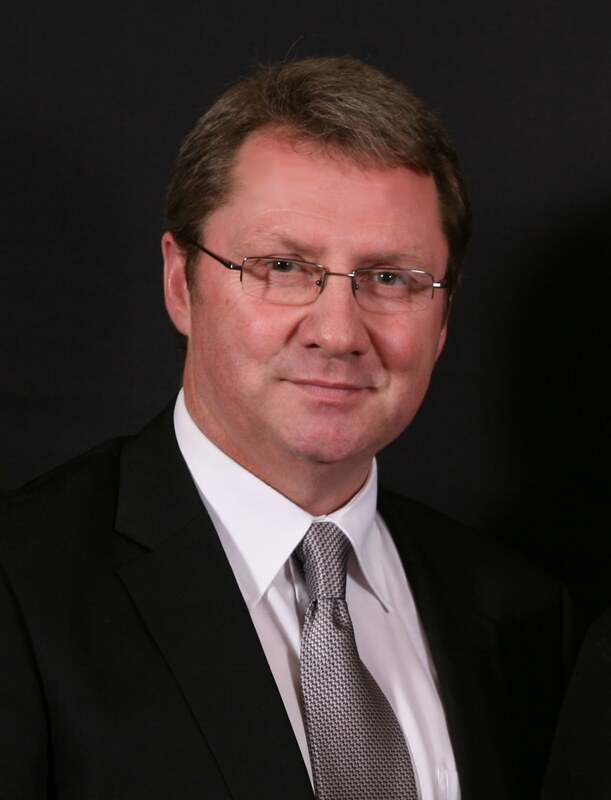 A long-established agency operating on Durban's Berea has joined the Aida National Franchises property group and just re-launched under its new banner. Principal Renu Sewpersad said she was confident her office would further entrench its already-strong market position as part of the Aida group, as there were many synergies that would benefit both the agency and its clients. "Apart from sharing our vision, Aida is bringing formidable business partners and a stable, reliable brand name to the table." Aida CEO Young Carr said the Berea agency, established in 2003, had proved its mettle in the local market and would further enhance his group's countrywide representation, bringing the total number of Aida offices in KZN to seven. Sewpersad says the Berea residential market is currently underpinned by a healthy interest among younger buyers with good credit records. new residents who prefer a quieter neighbourhood still work in the city. is a mere 3km away." Hermanus in the Western Cape is replacing Australia in the affections of many South Africans who want a slower and more secure lifestyle. 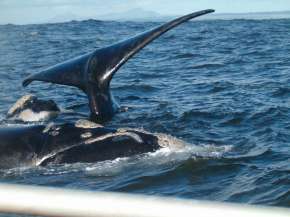 With the exchange rate currently at about R8 to an Australian dollar it is not only cheaper to move to Hermanus instead of “Down Under”, says Ludwig Schulenburg of the local Aida franchise, but Hermanus also meets all the criteria of the most popular Australian destinations. 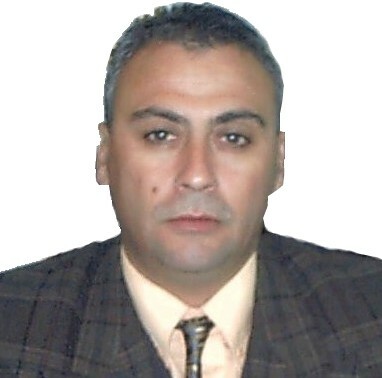 "The town is relatively crime free, offers a wonderful lifestyle on the coast, a pleasant climate, and business opportunities aplenty," he says. "And, of course, buyers who opt for Hermanus instead of Perth still have their local support network of family and friends." Hermanus, traditionally a holiday and retirement destination, now regularly draws economically active buyers from large metropoles in Gauteng, Kwa-Zulu Natal and the Cape, he says, and the new 'settlers' have swelled the number of permanent residents to 55 000. "Buyers are typically in their forties and relocate to Hermanus to escape the rat race, but the booming local economy allows them to set up own businesses, earn a living at their own pace and have time to spend with their families. "The local state school, with a 100% matric pass rate for the past 17 years, is an added attraction and a Curro private school, which opened its doors earlier this year, now offers parents the choice of giving their children a private school education." Holiday homes are, however, still in demand and buyers are taking advantage of market-related prices, Schulenburg says. Sellers, who up until very recently held out for their asking prices, are now much more inclined to negotiate with prospective buyers in order to clinch a deal. 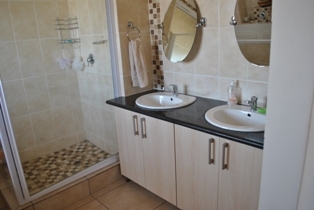 Prices of two-bedroom apartments currently start at around R600 000, townhouses are selling at prices from R800 000, while prices of family homes start at the R1m mark, he says. Muldersdrift, traditionally a quiet agricultural area characterised by smallholders keeping a few horses, sheep and chickens, has become the new housing hotspot on the West Rand. "It's the new hip place to be", says Sienie van der Merwe of the local Aida office. "Muldersdrift is now the focus of new residential development on the urban edge and buyers are spoilt for choice between sectional title units and units in housing estates. 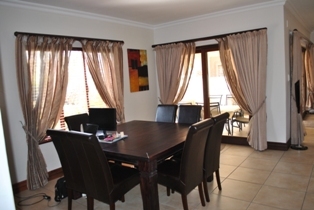 "It is conveniently located within easy reach of Lanseria airport and many professionals who have to travel often prefer to fly from - and live near - Lanseria rather than battle through traffic from the West Rand to reach Oliver Tambo International," she says. 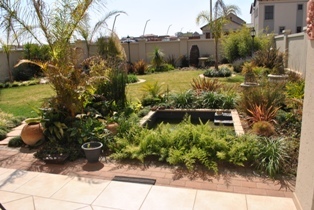 "It is also near the main routes leading to Pretoria and Midrand, where many residents work. And once the upgrade of the R28 crossing to Muldersdrift is completed, access to and from the main routes will be much improved." New office blocks are also drawing businesses to the area and Van der Merwe expects that this will stimulate the local residential market as employees come to realise the benefits of living close to their work places in an area that also offers a sought-after lifestyle. "Another draw card is the nearby Ruimsig Golf Course - especially among retirees and businessmen. And the Silver Star Casino on the R28 is a popular entertainment hub on the West Rand. It has become a favourite venue for a night's entertainment at the many excellent restaurants or at one of the regular shows," she adds. Prices of townhouses in the area start at around R700 000 for a two-bedroom unit, while units in security estates such as Featherbrook start at around R2m. The demand for development land has seen prices escalate, she says. Undeveloped agricultural holdings of 1ha that can be rezoned for development now reach prices of about R2m. 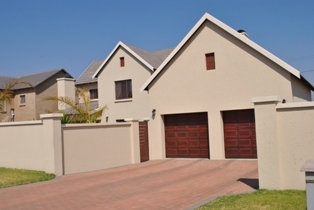 Developed holdings are selling at prices ranging from R1,5m to R7m, depending on location. "But," says Van der Merwe, "at these price levels buyers are making lifestyle choices - the days of buying a holding in Muldersdrift with an eye to growing a few crops or running a few sheep are numbered." 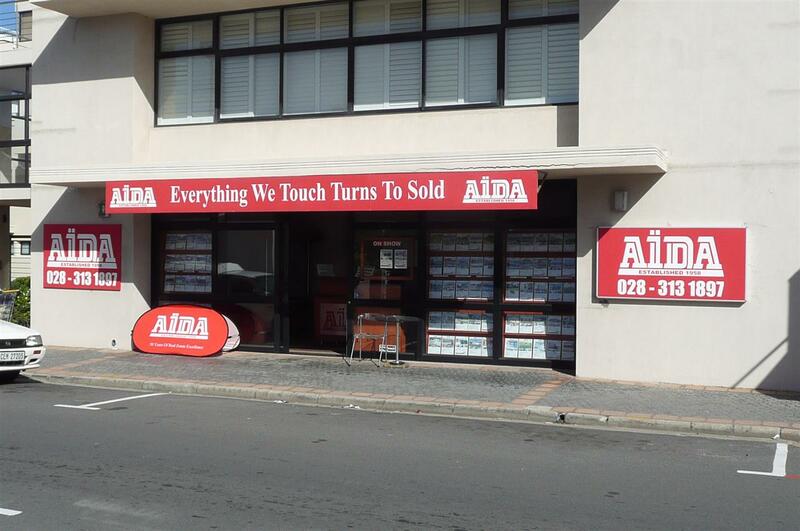 Aida National Franchises has acquired a new office in Fish Hoek with the conversion of an existing estate agency to the tried and trusted South African brand. Co-owner Maggi-Mae Vidas says the office, established in 2008, has built up a sound market presence and she looks forward to introducing Aida's expertise and solid reputation to the existing client base. 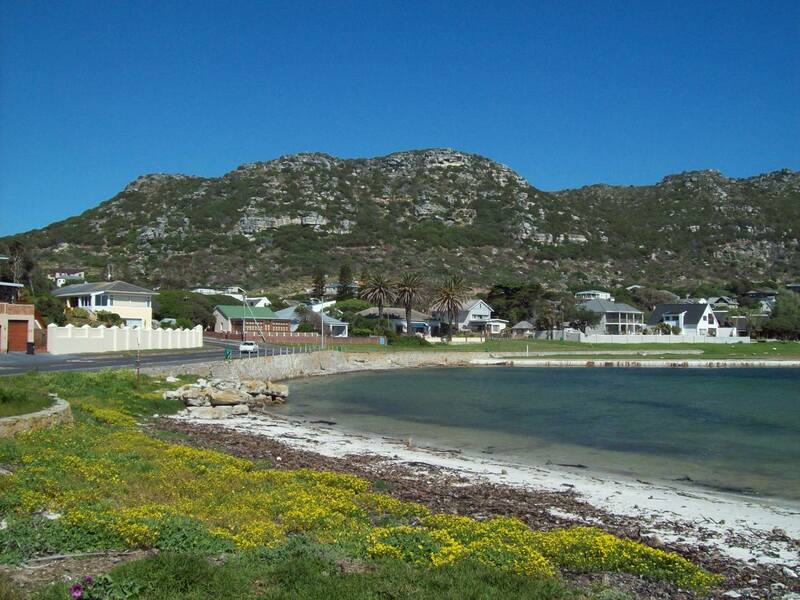 Aida Cape Lifestyle Homes will serve the whole Cape Peninsula market. Maggi-Mae says investors are still buying holiday properties in the area although sales are slower as investment buyers take their time to source good value. 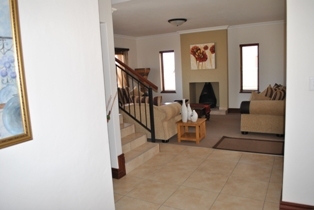 "Our core market remains local buyers who are attracted by the comfortable lifestyle offered in Fish Hoek and surrounds. "The area is still very popular among retirees who prefer a comfortable seaside lifestyle within reach of a host of amenities. And then, of course, the more temperate climate here clinches the deal for many retirees as well as family buyers. Superb views are an added bonus for many." 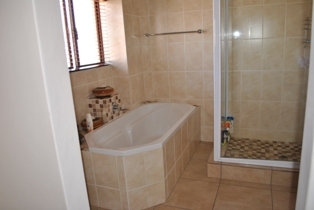 The area has a wide variety of properties on offer, including entry-level flats at prices from R500 000, comfortable family homes starting at about R1m and luxury homes with price tags of up to R10m. 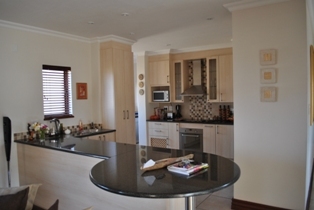 Maggi-Mae adds that the peninsula offers price advantages to buyers. 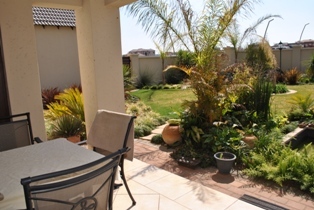 "Properties here offer better value than similar areas closer to Cape Town's city centre while office workers can comfortably commute to workplaces by train. 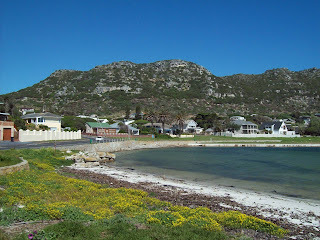 "Another factor favouring Fish Hoek is that the area is very family-friendly. Good schools, a hospital, several banks offering forex, and a host of excellent restaurants are some of the conveniences that residents enjoy. "And then there is the family-sized beach with lawns for comfortable weekend outings, while the local sailing club launching off the beach adds a touch of glamour. A resident Great White Shark has become something of a local mascot and attraction - but lifeguards make sure that swimmers remain safe when the predator puts in an appearance," she says. With its combination of seaside tranquillity and modern convenience, Onrus is a perfect retirement location, and soon now it will also have a purpose-built retirement village where residents can fulfil their dreams of a “cottage by the sea”. So says Deon Esterhuyse of marketing agency Aida Onrus, who notes that groundworks for the development, named Twee Fonteine, have already been completed and that the community centre at the heart of the village is due for completion by the end of next year. There will ultimately be 75 full title homes in the development, as well as 42 sectional title units, he explains. “The full title units, ranging in size from 128sqm to 183sqm, will all have two bathrooms and two or three bedrooms plus a single or double garage, as well as a spacious veranda. 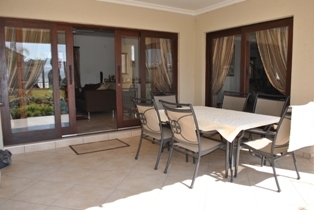 There will also be the option of an added braai room at a cost of below R4 000/sqm. The sectional title units, ranging in size from 28sqm right up to 83sqm, will be incorporated in the central building housing the community centre, which will also contain a kitchen, dining room, ladies’ bar and lounge, assisted living and frail-care facilities. 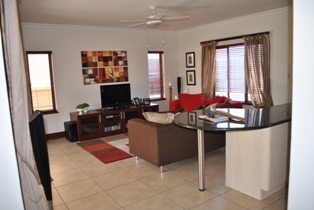 Prices for these units currently range from R560 000 to R1,66m. All prices include VAT. Esterhuyse says this is an ideal investment opportunity for those who would like to rent their units out prior to their own retirement in future. He notes that the whole development will enjoy a high level of security, with a single guarded access point and a perimeter wall topped with electric fencing. 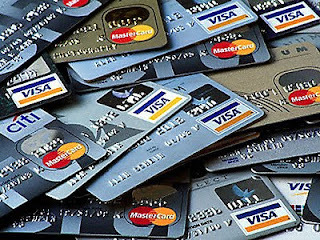 Finance is available for qualified purchasers. *For more information about Twee Fonteine, contact Aida Onrus on 028-316-3393 or aidaon@mweb.co.za, or Deon Esterhuyse on 083 284 0027. The Prospur Real Estate group, one of the best known and most successful in the Cape Flats and surrounding suburbs, has decided to take its operation to the next level and join Aida National Franchises. Established 15 years ago by agency principal Riyard Abrahams, Prospur will from now on be known as Aida Prospur, and expects to benefit enormously from the business systems and varied marketing platforms of the national group. “Aida is undoubtedly SA’s favourite and most trusted real estate brand,” says Abrahams, “and having grown into a major player in our region, we believe the time is now right to further expand the dynamics of our organisation and tap into this national recognition. 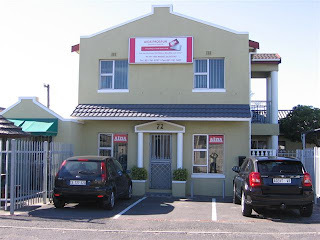 With an agent complement of 30, Aida Prospur has offices in Mitchells Plain and Wetton, and also serves clients in Athlone, Grassy Park, Lansdowne and Ottery on the Cape Flats, as well as homebuyers and sellers in southern suburbs such as Plumstead, Retreat, Rondebosch and Steenberg. “At the moment we are mostly handling properties in the affordable and middle-income sectors,” says Abrahams, “with sales generally taking place in the R300 000 to R1,2m range. Food shortages are becoming a worldwide concern, with current prices at the highest level in three years – and the situation is no different in South Africa. “Food security and a very real need for improved output are vital to ensure social stability,” says Marelize Schuld, principal of the Aida Lowveld office. “With the world population fast approaching 7bn people and estimated to top 9bn by 2050, global food production will have to increase substantially to put food on every table. “Demand for agricultural land world-wide is consequently rising sharply as investors see value in the commodity against the background of extreme volatility on stock markets. And farms in the Lowveld, as one of South Africa’s pre-eminent food-producing areas, represent solid value in spite of – or perhaps because of - the current economic climate. At the same time, she notes, incentives have been launched to motivate established farmers and agri-businesses in the area to continue operations, and assistance to buy land or consolidate debts is available. Meanwhile, the Lowveld has lost none of its appeal among investors and city slickers who yearn for wider horizons. Eco and wildlife estates have consequently made a welcome appearance in Barberton, Hazyview and Nelspruit. 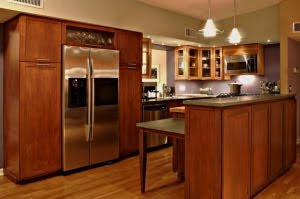 Many of these developments adhere to green building principles and offer secure living. Schuld says, however, that although interest in these units is high, strict lending criteria are dampening sales because interested buyers struggle to get the required large deposits together. Still on the expansion trail it has been following for the past 18 months, national real estate group Aida has just opened three more offices in KwaZulu-Natal – two on the South Coast and one in Ballito on the North Coast. This brings the total of Aida outlets in the province to six, and there are more in the pipeline, says CEO Young Carr. “The KZN property market is beginning to recover from the recession, with prices starting to rise now in response to increased demand. However, he says, prices are generally still well below boom levels, and the increased activity in the market is in recognition of the fact that there are many really excellent buying opportunities now for both local homeowners looking to upgrade and out-of-province holiday home buyers and investors. Carr says home sellers along the KZN coast should also take heart from the latest FNB Property Barometer, which reveals that holiday home purchasing has more than doubled in the past year. Roodeport agent Charl Els (centre) has just been named by national property group Aida as its Top Agent of 2011 – after less than a year in the real estate business. He earned this accolade by winning a string of other prizes at a recent awards ceremony held to honour Aida’s top achievers of the past 12 months, including the Top Rookie Agent award and the awards for the top agent in the units sold category and the top rookie agent in both the units sold and commission earned categories. 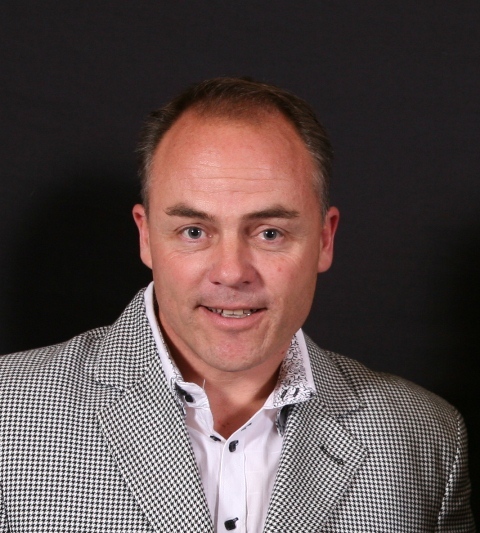 Earlier, he had been named as both the top rookie agent and top agent overall in the Gauteng region – and his office, Aida Roodepoort North Executive as the Top Rookie Office in the country. His awards were presented by Jigsaw chairman Neville McIntyre (right) and Aida CEO Young Carr who said the past year had been a challenging one in real estate but also one in which many agents had become infused with a new energy and enthusiasm which was reflected in their sales achievements and in the growth of their businesses and careers. 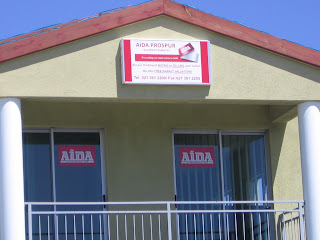 * Aida National Franchises has a network of more than 85 offices around the country and is one of the companies in the Jigsaw Holdings group, which also has interests in several other top real estate brands and Ditasa, the Development Institute and Training Academy of South Africa. The real difference between top performing agents that continually achieve the best results for their clients and those who just muddle along is training, training and more training. So says Aida CEO Young Carr, who notes that 98% of the agents and principals in SA’s favourite real estate group have already obtained the new NQF level 4 and 5 qualifications that will be compulsory after the end of this year and that the remainder are well on their way to qualifying before the deadline. Interviewed at the group’s recent national awards function, Carr said: “We believe education and training is the finest form of empowerment for estate agents, as envisaged in the new Property Charter, and we are committed to providing the opportunity and the means for many more people to build real careers in real estate. As a member of the Jigsaw group, he notes, Aida is fortunate to have links with Ditasa - the Development Institute and Training Academy of Southern Africa - which Services Seta CEO Dr Ivor Blumenthal recently described as “the most successful, most effective and most sustainable group training organisation in SA, and definitely the one that other training providers in the services sector should emulate”.